I know, I have been here before. 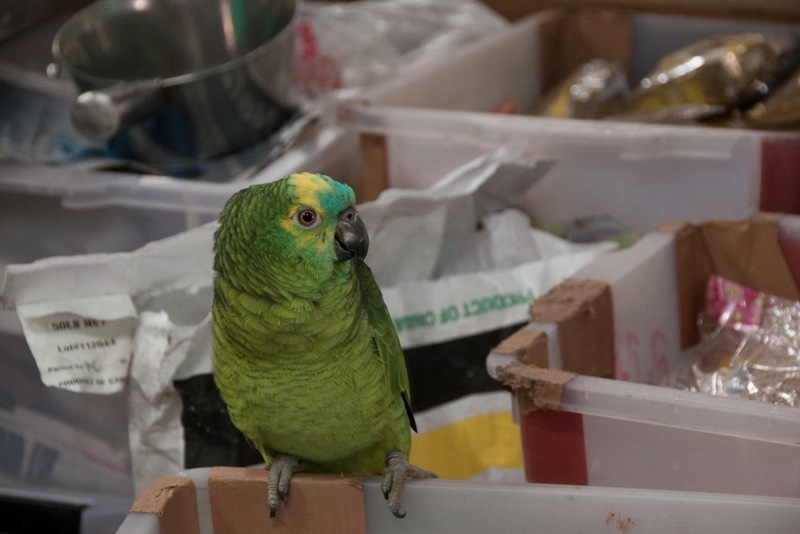 But that was over a year ago – so I decided to visit the bird market again. This time the task was also to take some interesting pictures, like he two men enjoying their Sunday afternoon. 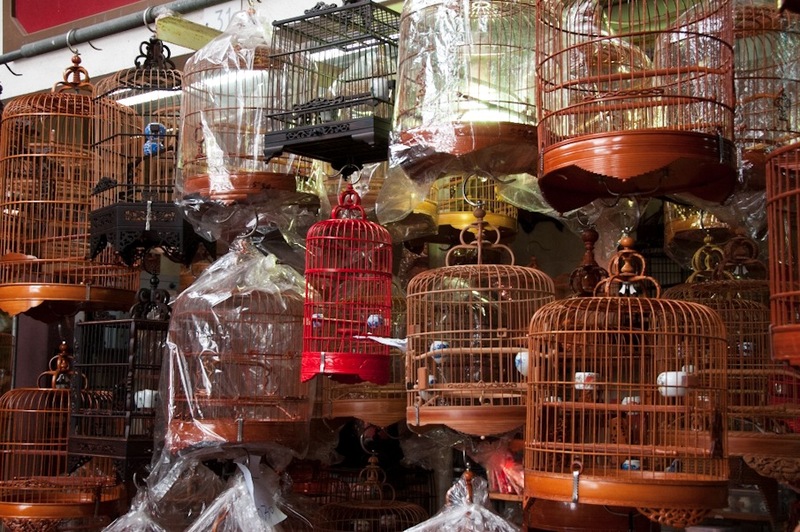 There are so many exotic and common birds at the bird market, it is always an experience of sound and sight. Just all the colours make me smile. These birds are gifts for other humans, i.e. 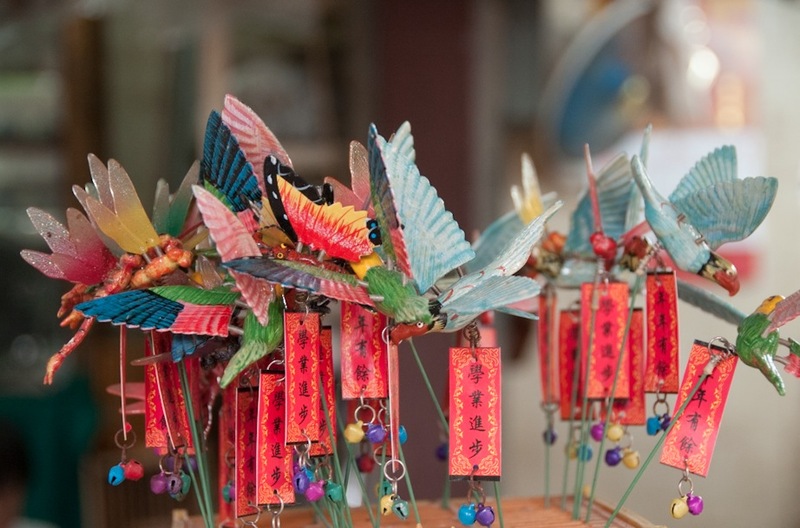 souvenirs – not toys for the real birds (but there are real toys for birds being sold on the market!). I bought a few as souvenir, the red tag is a good luck charm. 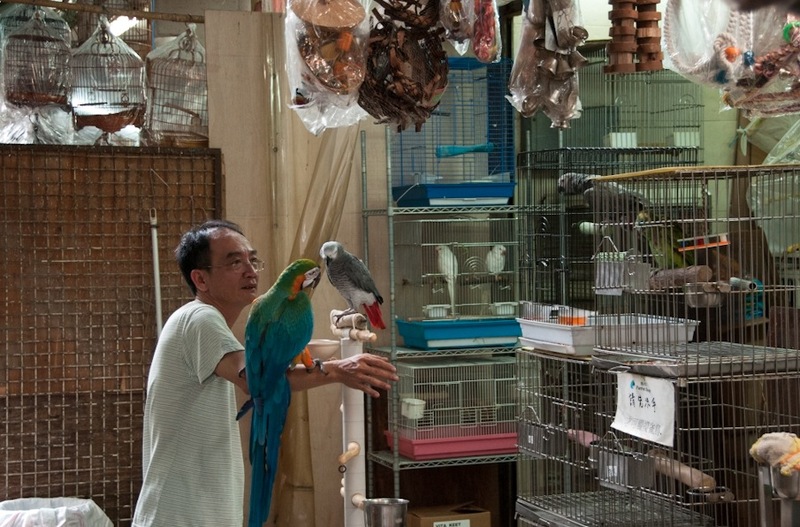 Their are some bird owners who took their birds to the market, to see others. Like they were meeting old friends for tea. How strange, sad and in a way nice. 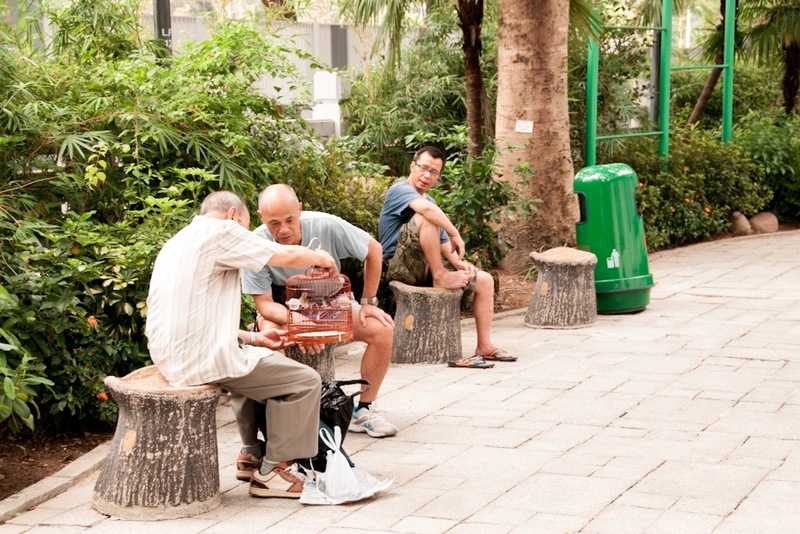 I just love how Chinese elderly (mainly men) take their pet bird with them when they go to the park. Sometimes they take them to tea houses too, but that’s less and less common in Hong Kong. 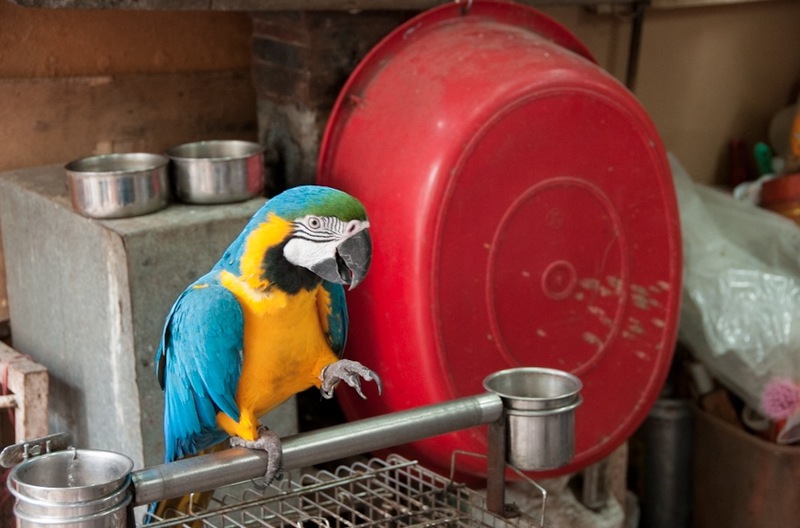 There were some amazing clever and beautiful parrots at the market. This guy was funny, he was repeating what the people were saying to him. There was also another one who recognised when you were signing and he would bounce his head like he was dancing to your song. When you stopped singing, he stopped too. Clever bird. Of course, you can also buy all kind of bird accessories. I love the little red cage. I could just see it sitting (empty!) on my windowsill, it is just so typical Chinese and lovely. 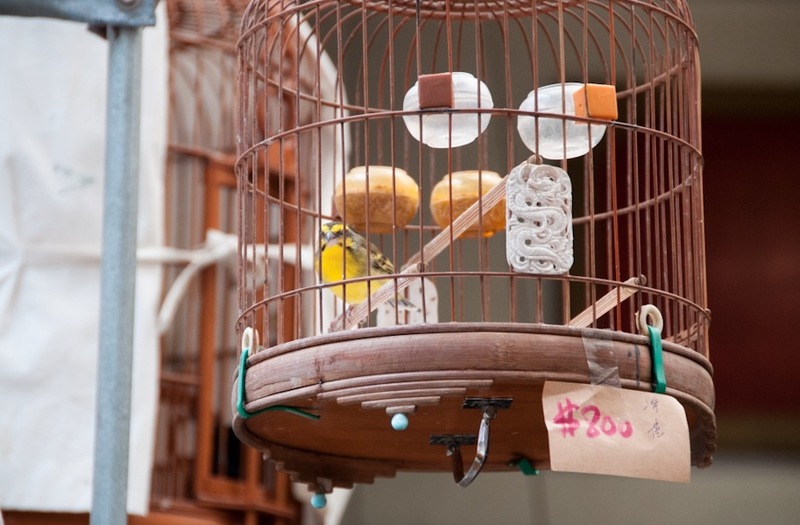 I don’t even want to own a bird (and besides the cage is way too small) but the small wooden cages are such a fantastic decoration, don’t you think? Ruth, don’t understand: they are gifts for the real birds. Are those birds alive? Are they put into a cage with another bird? Then what? I don’t understand, please help! Sorry – I’ll need to make this clearer. I meant gifts for other humans, i.e. souvenirs. These are not meant as toys for birds, but there were lots of toys for birds for sale. I just did not take a picture. Lovely post. Thanks for sharing! Is it very crowded? My small children would probably love it, but crowds in this heat can be too much. It’s not that crowded – I’ve been on a Sunday at 2pm and there were a couple of people, but nothing like the masses that you see at the other Kowloon markets. There were families with small children at the bird market while I visited and they seemed to enjoy it. It’s probably even more quieter during the week, than on the weekend.